On 7th of February, Accenture together with STEMettes organised a major STEM event across 7 different locations (including London, Manchester, Newcastle and Edinburgh in the UK). The aim of the event was to inspire girls aged between 11 and 13 to consider STEM subjects and careers. 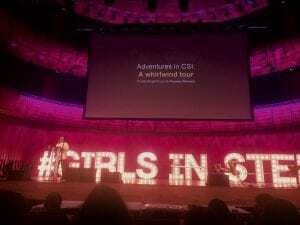 The event featured a series of inspiring talks as well as hands-on workshops, where girls took part in various activities such as 3D printing, coding and getting into the shoes of a forensic scientist. On behalf of Forensic Outreach, Michaela Regan and myself got involved in the event at Newcastle, UK, where we delivered four 1-hour CSI workshops with around 60 girls in each one. 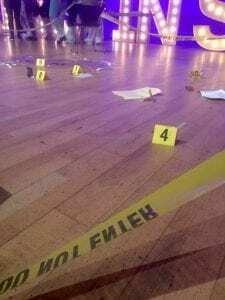 We kicked the show off with a short presentation on the different forms of evidence often encountered at a crime scene, and how they can be used to help investigations. After which, it was the time for the girls to help us solve the mystery surrounding the ‘death of our victim’. They accomplished this by working though four different stations (crime scene, fingerprinting, blood spatter, and marks and impressions), where they were able to gather intelligence to build up a case against the criminal. We were thrilled with the enthusiasm, the involvement, as well as the reasoning skills shown by our participants. 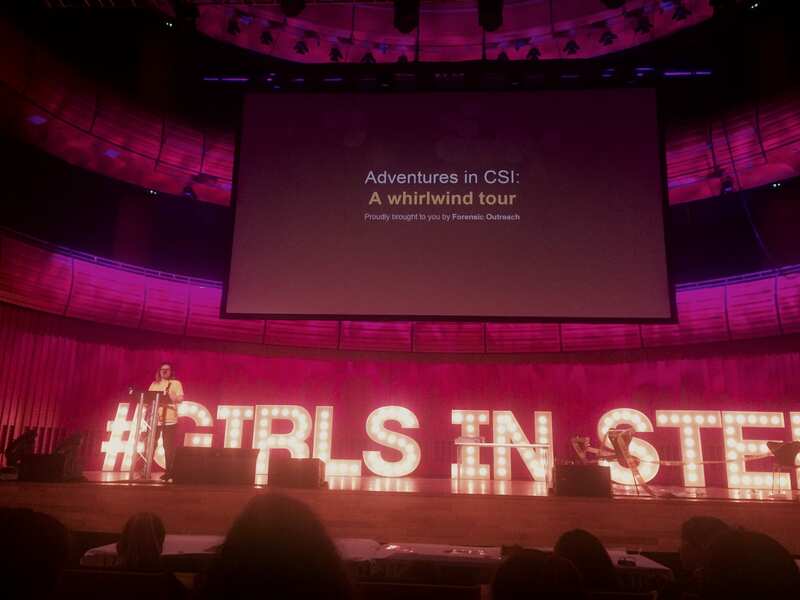 We had such a fantastic experience at the Girls in STEM event in Newcastle, and we hope that through our workshops and our passion we inspired girls to consider a career in forensic sciences! Always think what the question is actually asking before reaching for the reading list. If you can work out what the question is asking, you can work out what a good answer to the question is. Then you can decide what theories, context, facts and examples you need to make a compelling argument that answers the question. That will mean you can read in a focused and strategic way – you will know when an article is going to help you answer the question, and when it is dealing with a concept or issue that is a side issue for your assignment. Strategic reading is a great skill, but also make the time to read widely. An article may not be dealing with precisely the topic you are addressing for an assignment, but it is likely to have insights into related topics that build the bigger picture or offer context to the topic you are dealing with. 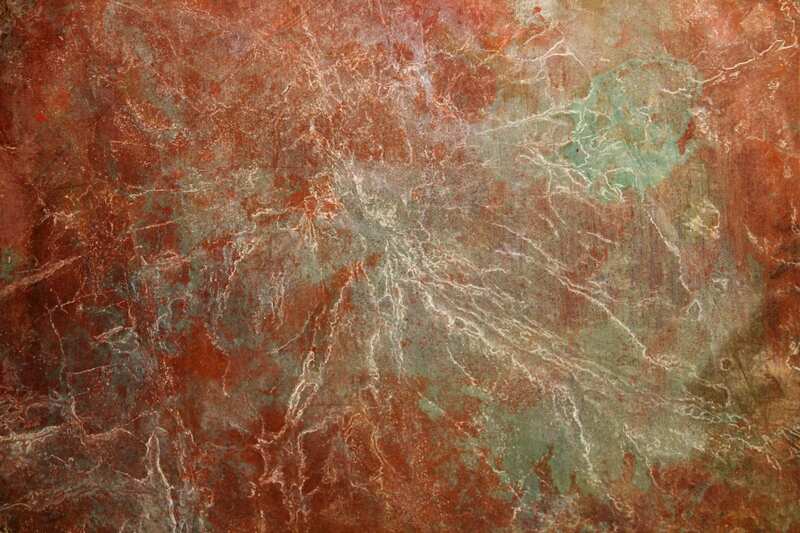 It is also likely that it will provide a window onto methods, schools of thought, ways of presenting results and approaches for drawing inferences that will be valuable in your current, or future assignments. In an interdisciplinary subject, always value insights and approaches from your colleagues that come from different disciplines to you. You have an incredible resource in your cohort, contribute to it, absorb it and value it. If you are thinking it, it is likely that someone else is too. Asking questions is the beginning of discoveries, and not asking questions can limit your vision of a topic. If you can answer the ‘so what’ question you have made a good and compelling case. Justifying your answer is a critical part of giving a strong answer to a question, and part of that justification is explaining why the reader should sit up and listen, why this matters. At the smaller scale, always plan your essays before you start writing – a plan will make sure you have a logical and structured answer, and it will make sure that you only write the number of words you have in the word limit. Cutting large swathes of words is time consuming! You never know who you will meet at an event, you never know where your future will take you. Knowing people who have experience in the field and who have expertise in particular areas is one of the best ways for working out where you want to go next. There is no better way of knowing what opportunities are out there, where your skills could be applied, and what you are interested in. 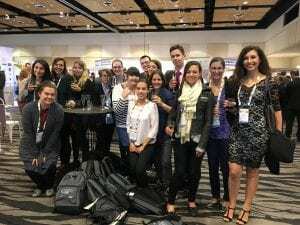 I am writing from Auckland after the ANZFSS 2016 conference and its a moment to reflect. The University of Auckland held its graduation ceremonies a few days ago and it was brilliant to see so many new graduates celebrating significant achievements with their family and friends. 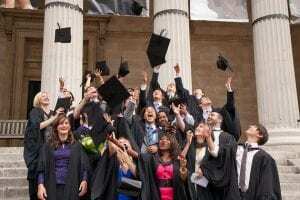 We won’t have our graduation ceremonies until next summer, but it has been a pleasure to have our MSc Crime and Forensic Science cohort of 2015/16 with us this year and it is both sad to see them leave UCL, but also exciting to find out where their next destination is going to be. We hope it’s been a valuable year, and we wish each of our students every success in all their future endeavours – do keep us posted! As this last academic year draws to a close, we are also excited to be looking forward. We have a new MSc cohort arriving as I write, and we hope they have a brilliant and successful year at UCL. The MSc programme is a rigorous one, but we hope that we give our students the opportunities to learn new things, develop their ways of thinking and communicating, and above all develop that critical thinking that will ensure that forensic science grows and meets the significant challenges we are facing. The upcoming generation has a pivotal role in shaping how forensic science develops as a field, and is enabled to contribute to the justice system all over the world. My hope is that in the months and years to come we will be seeing the contributions our graduates are making in forensic science in all the different spheres of education, policy, practice and research, and for our graduates to be among those changemakers that ask the most salient questions and develop nuanced problem solving approaches. So a very warm welcome to the 2016/17 MSc Crime and Forensic Science cohort – we are excited to be working with you this year and to seeing what the future holds! 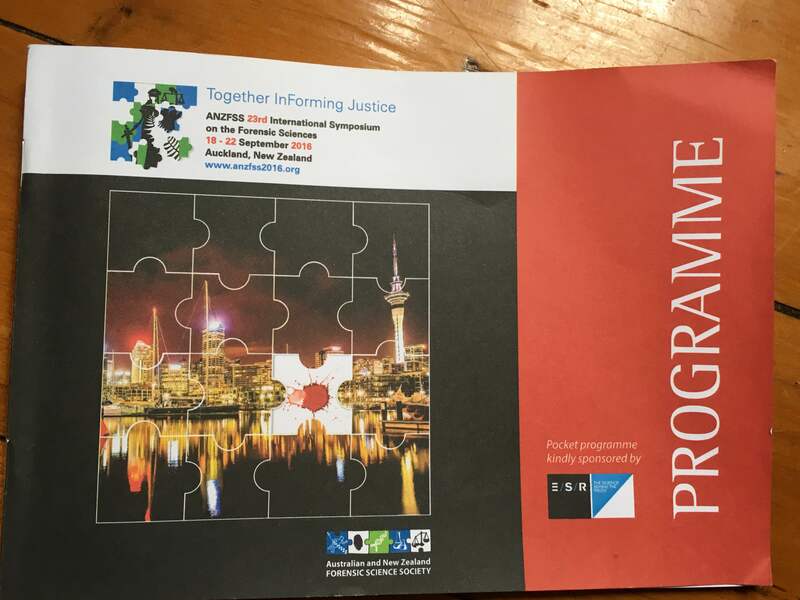 We have been in Auckland this last week, attending the Australian and New Zealand Forensic Science Society Symposium that runs every two years. It is a real highlight in the forensic science calendar, with a diverse group of delegates and really excellent quality talks sharing current research and practice across a wide range of fields from Crime Scene Investigation, Science and Justice, Chemical criminalistics, Education and Training, Biological – casework DNA, Pathology and Forensic Medicine, Botany, Fingerprints, Anthropology and Archaeology to name but a few. We have had an excellent week, meeting other forensic scientists, sharing our research and hearing latest findings and approaches. It is also an amazing opportunity to get insights into what is happening in forensic science in the rest of the world. It has been a busy week with 19 talks from UCL researchers and 2 poster presentations, as well as meetings with colleagues and meeting new ones, but it has been an inspirational week too. 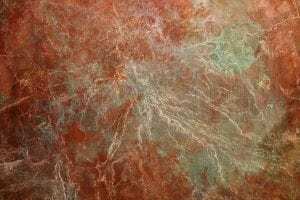 It is fantastic to see the research being carried out in this field, research that is addressing the hard questions we face, and research that is paving the way forward. One of the aspects that was particularly interesting were the papers presented on how we develop our research culture. There was a clear call for us as a community of professionals, researchers, policy makers, and lawyers to be developing ways to ensure that we approach forensic science holistically and with an appreciation of the roots of forensic science in problem solving. The idea of recapturing the crime scene as a scientific endeavour rather than approaching it as a mechanical process is a powerful one with all that means for developing valuable research, best practice and effective policy. 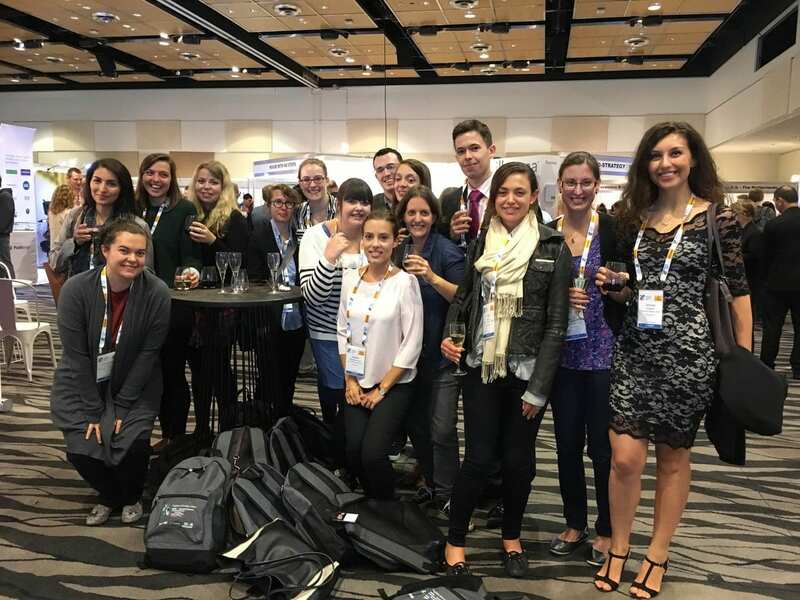 Thank you to ANZFSS for a great conference and looking forward to incorporating lots of what we’ve learnt into our new research projects, and to being back in two years time with new research findings to contribute.